We make it our mission to provide you with knowledgeable staff, quality workmanship, and speedy service for your plumbing, heating and air conditioning units – while maintaining a reasonable rate. 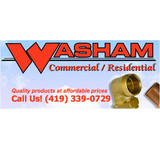 The owner of Washam Plumbing Heating & Air Conditioning has been in the industry for many years and still maintains a belief in on-going training to this day. Our team is highly professional, customer service oriented, and dedicated to your satisfaction. We offer full-service options on a large variety of plumbing systems, heating units, and air conditioning equipment to ensure you are never left in the steaming heat or bitter cold! We provide you with quality plumbing and HVAC services in Lima, OH as well as the surrounding communities. Dayton Plumbing Services is known for our attention to detail and our great customer satisfaction. No one likes to deal with a clogged toilet, leaky faucet, or even worse a broken water pipe; that's why our plumbers do their best to provide a quality service that will make our customers happy. Plumbing services done right the first time in Dayton Ohio and the surrounding area. 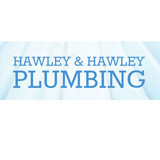 Take a minute to visit our website or give us a call for additional information on the plumbing services that we offer. Our business is our livelihood but it is also so much more. Brian Ray's Plumbing was started to fill in a void in the current market and to make a business that the people of Centerville and surrounding areas can place their trust in. Over the years we have never lost our commitment to our clients and that is what has allowed us to succeed in a very competitive industry. We stand committed to our purpose as we stand committed to the people of Centerville and surrounding areas. Your 100% satisfaction is our goal. You can count on us to do the job right the first time around! Keep your faucets, drains, and hot water in perfect shape. Call us today for emergency service! For reliable plumbing and affordable rates, let Browning Plumbing lay all your worries to waste! Family-owned and operated since 1957, the Atherton family has been providing residents and businesses in Dayton and the surrounding areas with quality plumbing installation, repairs and servicing for generations. A-Atherton Plumbing is licensed and insured Master Plumbers who are dedicated to our trade and grateful to our loyal customers who have helped build our business year after year. We pride ourselves on being the best of the best and being equipped to handle any job at any time. In addition to being licensed for both residential and commercial work, we are certified back flow prevention specialists and we offer turnkey slab repair services. We Also Sell Retail Parts We have a shop fully stocked with equipment, parts, and accessories from leading manufacturers. We welcome do-it-yourself plumbers in training and will happily help you choose the right parts and tools to get your project done. We enjoy helping people. We do not charge a dispatch fee and we are known for our reasonable rates. We also offer a 1 year parts and labor warranty to give you peace of mind that we fix things right the first time. If you need plumbing installation, service or repair, call the pros at 937-434-4443. We try our best to offer same day service on most calls. 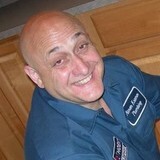 Dooley’s Rooter-Pro is a full-service plumbing contractor using state-of-the-art hydro jetting equipment. We specialize in jetting sewage drains for residential and commercial customers throughout the Springfield, Ohio area. We offer our commercial customers regularly scheduled maintenance programs to keep your sewer and drain system in perfect condition. A plumbing contractor handles the installation and repair of water, sewage and natural gas pipes throughout a home, as well as interior and exterior faucets and fixtures. Plumbing contractors are also trained to work with water mains, septic tanks, laundry appliances, water heaters, sump pumps and other plumbing and pipe systems. Because plumbing repair work is done largely behind walls and beneath floors, some plumbing companies can also patch or replace tile, stonework and other surfaces. Although some Covington plumbers are generalists, others specialize in specific areas; a 24 hour emergency plumber will handle urgent residential repairs, while others may be more skilled in remodeling, natural gas lines, overhead sprinkler systems and more. 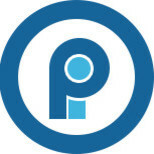 Find a local Covington plumber on Houzz. 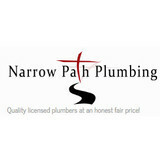 Narrow your search in the Professionals section of the website to plumbing contractors in Covington, OH. You may also look through photos of Covington, OH projects to find a licensed plumber who has worked on a project similar to yours. Here are some related professionals and vendors to complement the work of plumbers: General Contractors, Septic Tanks & Systems, Kitchen & Bath Designers, Kitchen & Bath Remodelers.